Streamsong. I’m not sure where the name came from but it certainly has a gentle, melodic sound to it. Maybe it’s because Florida’s newest 54-hole golf destination is strategically located in an area of the state where there is no noise or traffic, no confusion or chaos, and each day seems like the one before. Almost sounds paradisiacal. Having visited the resort earlier this year, I would say that it is. Streamsong is just what the doctor ordered for someone in search of some “me time” that includes such decadent indulgences as golf, bass fishing, spa treatments and fine dining. Located on the outskirts of the “Middle-of-Nowhere”, it is the uneasy feeling of “I think I’m lost” that most first-time visitors will undoubtedly experience en route to the resort. 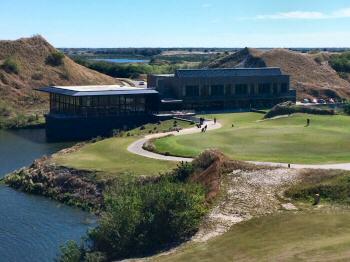 All kidding aside, it is Streamsong’s remoteness that makes it not only unique, but profoundly special. That said, the resort is a manageable one hour drive from Tampa (60 miles) and 1.5 hours (90 miles) from Orlando. 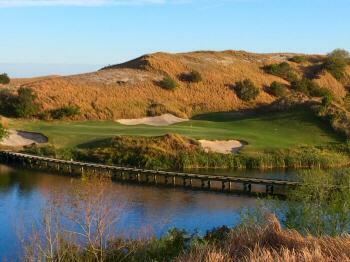 The brainchild of Rich Mack, the two golf courses, simply known as Streamsong Red and Streamsong Blue, opened in January 2013. I deliberately mention Mr. Mack because it was his vision and foresight that enabled a former 16,000 acre phosphate mine in rural Polk County, Florida to be transformed into the state's best golf experience. Owned by the Mosaic Company, the world's largest supplier of phosphate and potash, Streamsong was destined for greatness from day one. Having the financial resources of a huge multinational business behind the development certainly didn't hurt, but it took the genius and passion of Mr. Mack to move the project forward. In addition to being Mosaic Company's CFO, it was Mr. Mack's commitment to the environment and surrounding communities that enabled Streamsong to morph into what exists today. The resort is the economic driver of the area generating 325 full time jobs in a region that has struggled since the Great Recession of 2009. Over the past four years, the number of accolades this place has received is extensive and well- deserved. Among the most impressive are the "#1 and #3 Top Public Courses in Florida" rankings the Red and Blue courses received respectively from Golf Digest in January, 2015. Not surprisingly, the praise continues to pour in from golf aficionados from all around the world. To say that the two (soon to be three), Streamsong designs are different than Florida's other 1,000+ golf courses is a gross understatement. There are no palm trees here or houses that abut the sides of fairways. 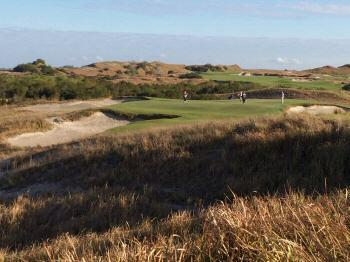 As you look around and take in the rolling, fescue-covered dunes that gently rise and fall for as far as the eye can see, you would never know you were playing golf in the middle of Florida. This is as close to a links golf experience you’ll find without an adjacent ocean, sea or lake. 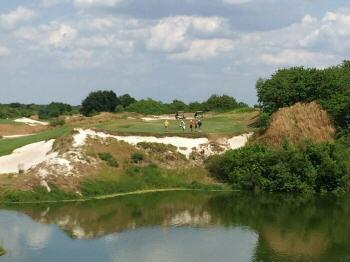 Much of Streamsong's topography has to do with who designed the golf courses. The 7,148-yard Red Course was designed by Bill Coore and Ben Crenshaw who just seem to see things differently than other golf course architects. Steep-banked lakes and towering dunes amidst windswept fields of prairie grasses in Florida? Hard to imagine given that much of Florida exists at or below sea level. This is an area of the sunshine state even Floridians are unfamiliar with. What Coore and Crenshaw did was take a desolate hole-in-the-ground and create something so pristine that it's hard to imagine something else once occupied this space. So did the guy that designed the other golf course at Streamsong; the 7,176-yard Blue Course sculpted by Tom Doak whose creativity emanates from the belief that the "best golf course designs are organic, evolving from the subtleties of the ground they inhabit." That's what Streamsong is all about. In 2017, a third golf course will open. During my visit, construction of the new "Black Course" was well underway. Gil Hanse, designer of the now-famous 2016 Olympic Games Golf Course in Rio De Janeiro, was bestowed the daunting task of creating something equally awesome as the original two courses. From everything I've seen and heard thus far, the Black Course will not disappoint. It is worth noting that Streamsong has a golf cart policy unto itself during the winter months. Carts are unavailable January through April as guests are encouraged to walk and take a caddie. This is unheard of in most of Florida but that's what Streamsong does - they do what others don't. For golf purists, it doesn't get any better than a four hour walk over terrain that was once a prehistoric glacial lake now brimming with indigenous birds, fish and gators. I would be remiss if I did not mention several of the luxurious amenities offered at Streamsong. 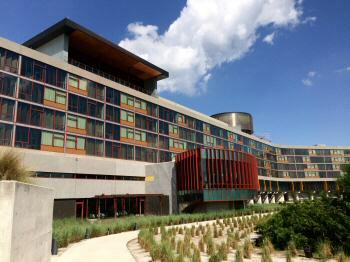 The first is the 216-room “Lodge”, Streamsong's understated descriptor for its 5-star hotel that features 530 sq. ft. suites with floor-to-ceiling windows as standard guest rooms. There are 12 additional suites at the clubhouse, ideal accommodations for a group of hard-core golf enthusiasts. The dining options at Streamsong are equally impressive. There are four restaurants that cater to a broad array of culinary preferences. Sotto Terra is Streamsong's flagship restaurant renowned for its delectable Italian cuisine. I particularly enjoyed the laid-back atmosphere of P2O5, Streamsong's casual dining experience coincidentally named after a chemical compound symbol associated with phosphorous. At Streamsong, it's all about attention to detail. And finally there is the Acqua Pietra Spa; the ideal place to rejuvenate oneself after walking 18 holes, or the equivalent of a 12km hike. Various treatments are available including an assortment of massages designed specifically for the weary golfer in mind. So when is the best time of the year to visit Streamsong Resort? Anytime, although the summer months of June, July and August can be excruciatingly hot. The other nine months of the year are ideal. Golf packages are available for groups of any size and can be combined with Streamsong's repertoire of other outdoor activities including bass fishing, clay shooting or archery. As I said earlier, this is the place to come, unwind and self-indulge in all things golf and non-golf. From Toronto, you can be on one of the first tees in the time it will take you to drive north on a Saturday morning to cottage country. My recommendation is to invite a group of your closest golfing pals who have the fortitude to play enough golf in 3-5 days that would satisfy lesser souls for a season, and play until you can’t swing a club anymore. Upon your return, after having played all three of Streamsong's gems, I'll bet your favourite colours in golf will be red, blue and black.